For a brief respite from their royal duties, the Duke and Duchess of Sussex are said to have spent three nights at Heckfield Place to enjoy some alone time before the birth of their first child, reports People. Located a short 45-minute drive from their new home, Frogmore Cottage, Heckfield Place is a restored Georgian manor, set on 400 acres of secluded bucolic woodlands, meadows and gardens in Hampshire. 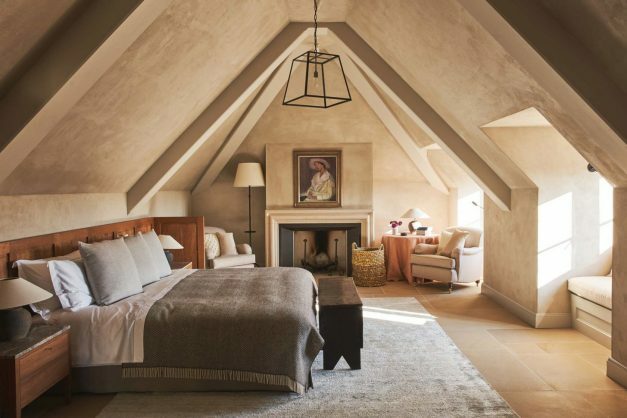 Rooms at Heckfield Place are elegant and contemporary in feel, with a soft neutral palette of heather greys, lavender and cream, and the use of natural materials. According to People, the royal couple stayed in the Long Room, a private apartment that comes with a private terrace, dining room, and bedside fireplace that clocks in at around $13 000 (R181 500) a night. While there, the royal couple may have strolled along the property’s lower lakes, woodlands and walled gardens filled with wisteria, lavender and English roses. A place bound into the movement and rhythms of nature. The duchess may also have received treatments at the Little Bothy Spa, which uses all-natural products. The spa also features studios for yoga, Pilates and personal training. On-site restaurants Marle and Hearth serve seasonal fare using ingredients plucked from their farm.